performance metrics: precision, recall, F-measure. Information Retrieval Models; ranked retrieval; text similarity metrics; TF-IDF weighting; cosine similarity; performance metrics: precision, recall, F-measure. Web dynamics; Crawl Strategies; Focused Crawling; Distributed Crawling; Crawler Architecture; Refresh Strategies; Duplicate and Mirror Detection. 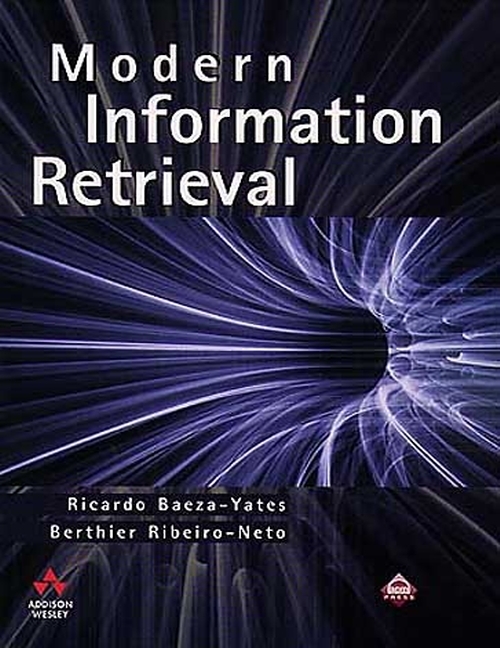 Modern Information Retrieval, R. Baeza-Yates, B. Ribeiro-Nieto, Addison Wesley, 2000. Managing Gigabytes, 2nd Edition, I.H. Witten, A. Moffat, T.C. Bell, Morgan Kaufmann, 1999. Foundations of Statistical Natural Language Processing, C. Manning and Shutze, MIT Press, 1999. Mining the Web: Analysis of Hypertext and Semi Structured Data, Soumen Chakrabarti, Morgan Kaufmann, 2002.